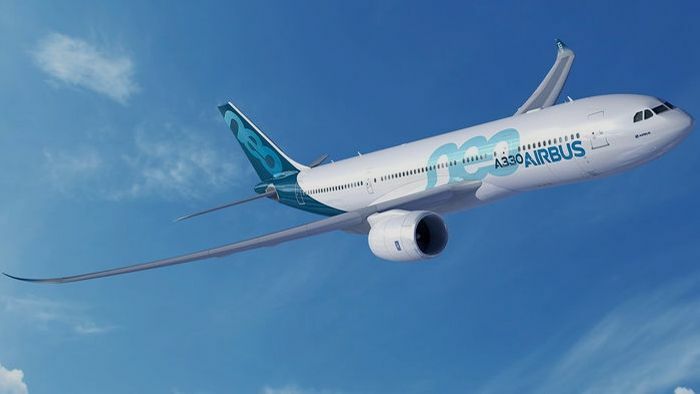 Airbus has announced its new A330neo range of jet planes, featuring two fresh additions to the firm's Widebody family - the 800neo and the 900neo. The new fliers will include 'fourth-generation In-Flight entertainment', an upgrade to the previous entertainment system that looks to add 3D high-definition movie viewing to the roster. They're also adding 'full connectivity', meaning passengers will have access to WiFi internet and mobile networks aboard the spanking new jets. Other passenger-comforting additions include ten additional 18-inch-wide seats, and 'mood lighting'.“It's one of the most reliable and efficient commercial aircraft ever. Customers love it.” says Tom Enders, CEO of Airbus Group. Both jets come with the latest generation Rolls-Royce Trent 7000 engines, and run much more economically, with the A330neo reducing fuel consumption by a hefty 14% per seat. You won't find a more cost-efficient Widebody jet anywhere else, they say. The new specs also mean pilots will benefit from a range increase of about 400 nautical miles, meaning they're likely to be picked up by plenty of airlines once they start shipping in Q4 2017. The A330neo "provides an optimal solution for airlines around the world looking to minimise their fuel and operating costs while offering best-in-class comfort to their passengers, says Fabrice Brégier, Airbus President and CEO.